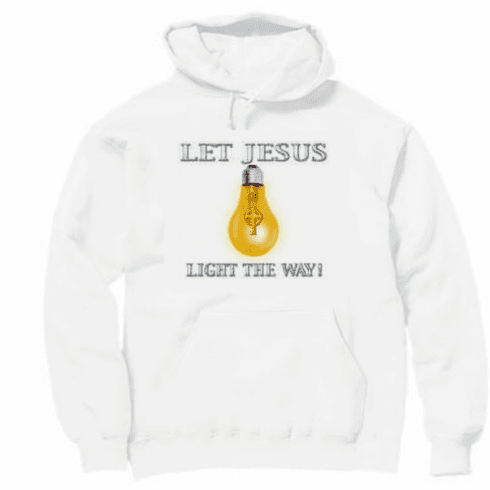 Christian Pullover Hoodie Hooded Sweatshirt - Let Jesus light the way! Home/Our HoneVille.com Store/Christian Designs /Christian Designs page 2 /Christian shirt - Let Jesus light the way! /Christian Pullover Hoodie Hooded Sweatshirt - Let Jesus light the way! Home/Our HoneVille.com Store/Christian Designs /Christian Designs Page 3 /Christian Designs page 4 /Christian Designs page 2 /Christian shirt - Let Jesus light the way! /Christian Pullover Hoodie Hooded Sweatshirt - Let Jesus light the way! Home/Our HoneVille.com Store/Christian Designs /Christian Designs page 4 /Christian Designs page 2 /Christian shirt - Let Jesus light the way! /Christian Pullover Hoodie Hooded Sweatshirt - Let Jesus light the way!